If you have a data plan, or your phone is connected to a Wi-Fi network, signing in is simple. 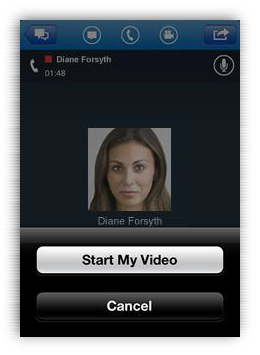 On your phone, start the Lync app. On the sign-in screen, enter your credentials, and then tap Sign In. To change your status, tap Status, and then select your status. To sign out, tap Sign Out. 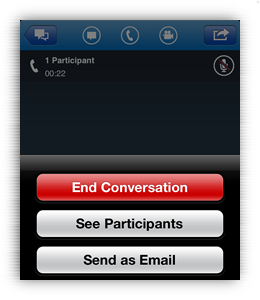 To join a Lync Meeting, from the Meetings tab, select the meeting you want to join and then tap Join Meeting. 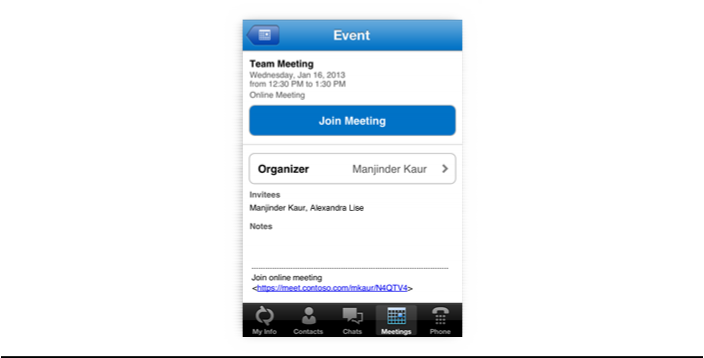 To view the participants list when you're in a meeting, tap the Actions icon, and then tap See Participants. When you're in an IM and you want to call the contact, tap the Phone icon and then click one of the call buttons. To add video to an IM or audio conversation, tap the Video icon, and then tap Start My Video. 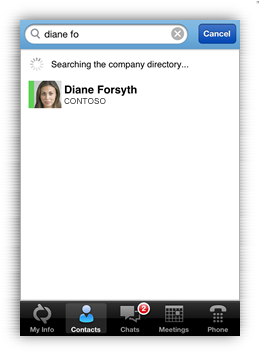 Tap Contacts, and from the Lync tab, start typing a person's name in the search box. Your search results will appear below the box. 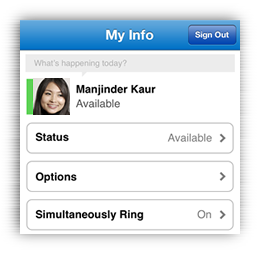 You can also scroll through your Lync Contacts group to find the person you're looking for. 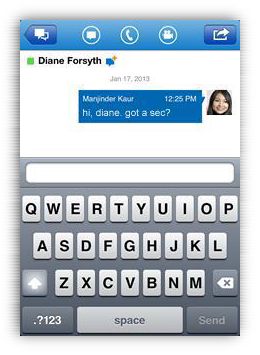 When you find the person you're looking for, tap their name, and then tap the IM icon to send an instant message. Note If you want to call them, tap the Phone icon. Type a message, and then tap Send.